If I was God, I would not feel the need nor desire to murder my son in wrath, much less in premeditation, in order to forgive my children of a transgression. Knowledge of Good and Evil: Bad or Good? But for the purpose of this post, let's assume Adam and Eve were God's children, and they truly did something bad to upset him. Is it moral to impute their transgression onto all their posterity? One of my all-time favorite chapters in the entire bible is Ezekiel 18. Of course Ezekiel was written a bit later than the first few books of the bible, and it certainly was written from a viewpoint of advanced morality. Ezekiel 18—please do read it or review it—teaches that a son should not die for the sins of his father. Never mind that many times God or his supposed servants do indeed punish sons or other relatives of those who have angered him or his servants. And then is it right to punish a separate person entirely, one who supposedly did nothing wrong, so that you don't take your wrath out on the person who did do what was wrong? So if one of my children did something to anger me and that broke one of my rules, would it be ok if I took another child, even if that innocent child agreed to be punished for the guilty, and punished him or her? I have no earthly idea I didn't reach this simple and obvious conclusion for so many years, until this year, but I see now more than ever how strongly people can be brainwashed, even when I was one who very carefully compared God and his supposed Firstborn and then man and a man's firstborn (which no doubt did lead to questions that bothered me, but never this one). I don't feel any need to murder my son to forgive anyone who transgresses against me. Why does God, if he's so good? Why am I so much more loving and forgiving than the bible god? If I was God, I would go to extremes to avoid killing any of my children. I certainly wouldn't murder my own perfect son to appease some anger-management problem I possessed so that I felt I could forgive other children or anyone else. For a video demonstration that further makes my point, done by the talented DarkMatter2525, see Christian Justice on Youtube. 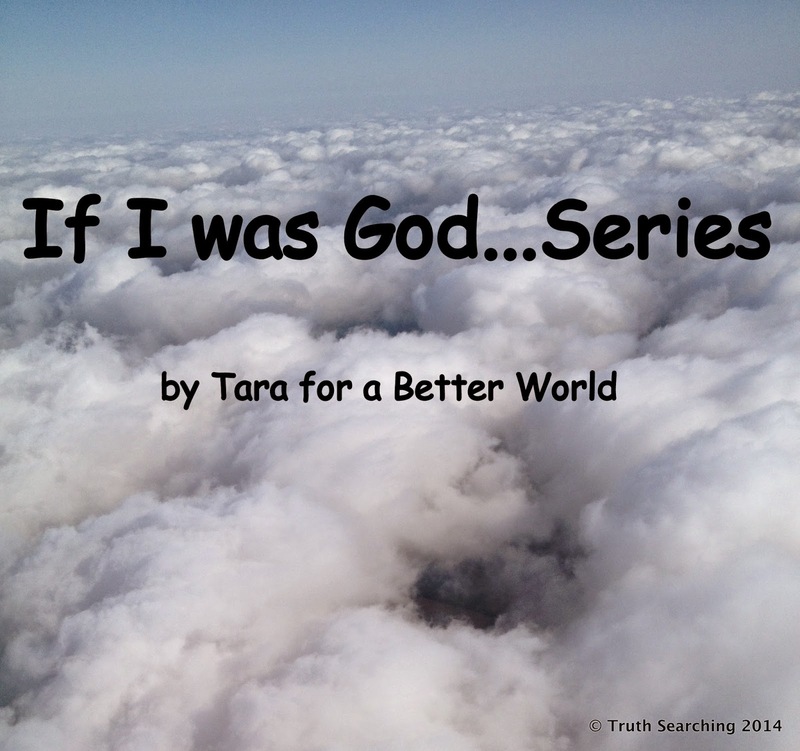 This has been #2 in the "If I Was God..." series at TruthSearching.com.